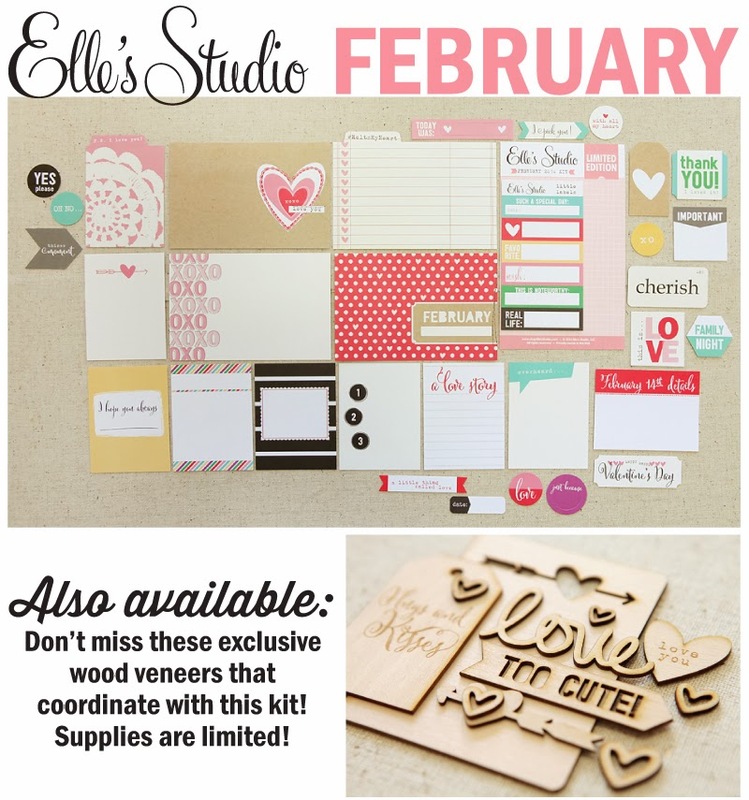 Today is the 10th, which means the new kit is available at Elle's Studio!! This kit is packed with the most adorable tabs and cards. I loved every one! Also available this month is an exclusive wood veneer set. Which tag was my favorite you may ask?, I love the cute arrow that said "I pick you". 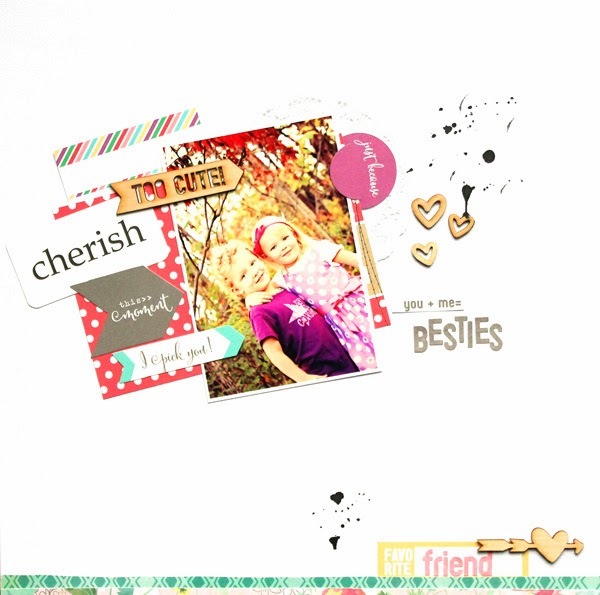 For this layout I used the February Kit, February Wood Veneers, and a tag from the new line Love You More. Remember the kit is $9.99 today only and then goes up to $11.99! Also the kit and the wood veneers and exclusive so once there gone, there gone! Wonderful kit and layout, there's a great dynamism to this!